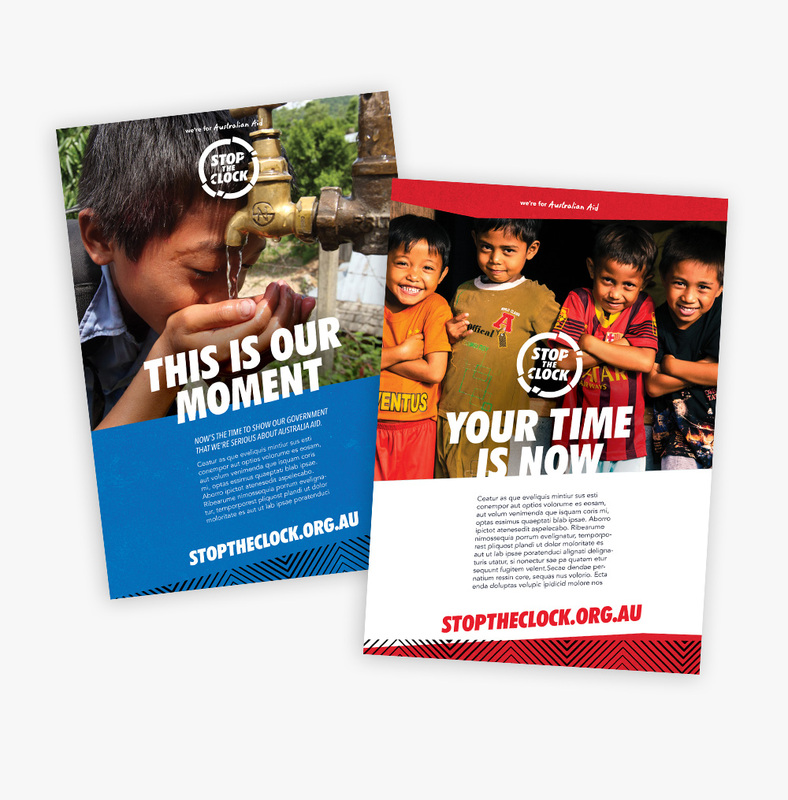 ‘Stop The Clock’ brand and campaign was developed for the Campaign for Australian aid (a coalition of more than 50 of the country’s leading charities, including Oxfam, World Vision, WWF and Save The Children), when the Australian government announced that they were going to cut international aid in the 2016 budget – disrupting key charitable programs around the world. 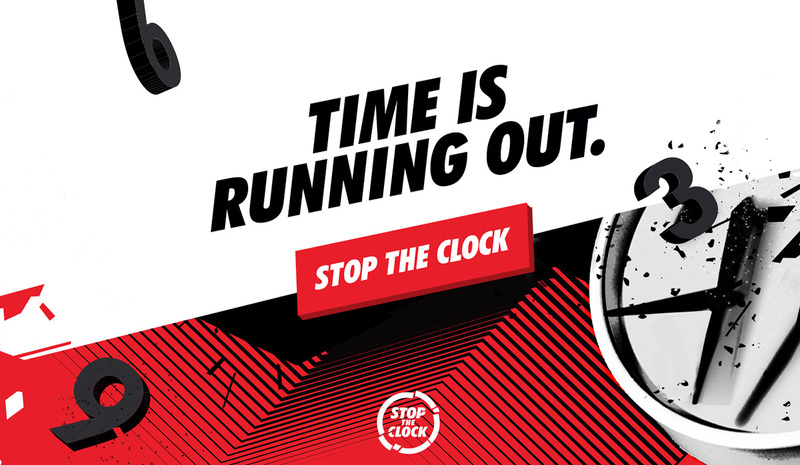 Showing the time quickly ticking down to the budget announcement which would make us the least generous we’ve ever been as a nation, we asked ordinary Australians to help ‘Stop the Clock’ and put an end to the cuts, by contacting treasurer Scott Morrison. 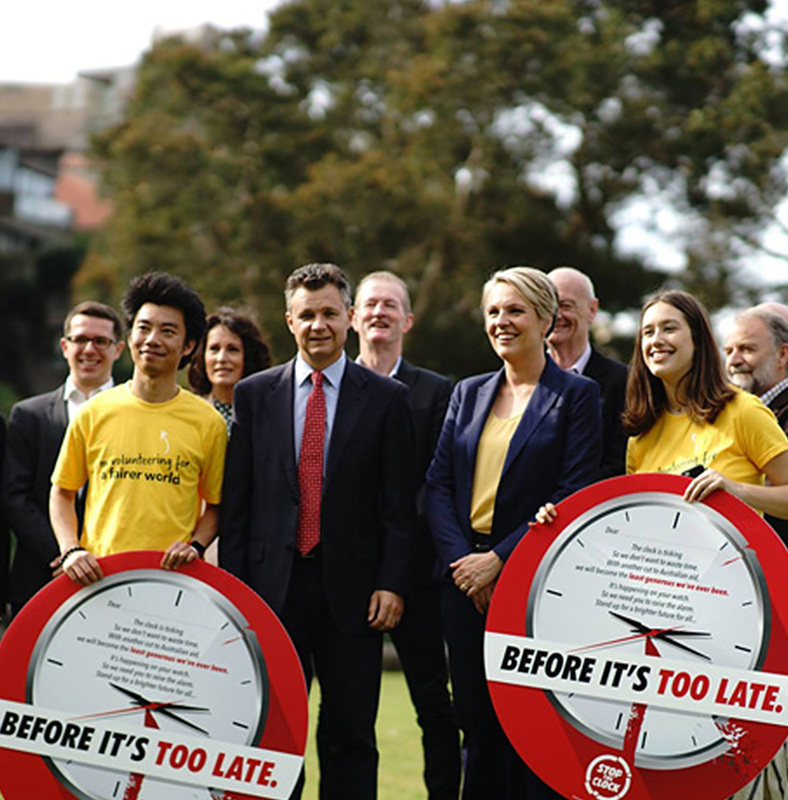 As a result, the campaign succeeded in convincing thousands of ordinary Australians to contact Scott and their local MPs, and both Labor and the Greens to pledged to reverse the cuts to aid.